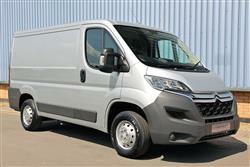 Sharing a platform with the Peugeot Boxer and Fiat Ducato, Citroen's Relay scores with keen pricing and strong equipment levels. If you thought this sector of the commercial vehicle market began and ended with the Ford Transit, you'll find the Relay offers a wholly convincing alternative, with features you wouldn't expect at this price point. Thanks to a fresh range of BlueHDi diesel engines, it's now more efficient too. 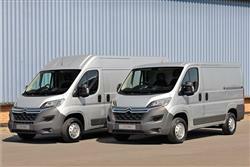 If you're looking for a large panel van, the choices are dizzying. Many manufacturers all clamour for your money, each offering a range of several hundred model permutations that, when broken down, all do much the same thing. How on earth do you make a selection and have any confidence that it's the right one? Or, come to that, even a good one? The good news first. 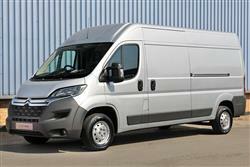 The van market has become so competitive in recent years that the dross has been shaken out. The other factor that's going to make choosing a big van so much easier is that there are basically just four fundamental vehicle families to choose from. You can go for the trusty Transit from Ford, the high-end Volkswagen Crafter/Mercedes Sprinter package, the increasingly popular Renault Master/Vauxhall Movano/Nissan NV400 tie-up or the van we take a look at here, the Citroen Relay, also sold as Peugeot Boxer and Fiat Ducato. The Relay's been with us since 2007 but the latest model with its BlueHDi engine technology looks best set to crack some seriously big numbers in the UK sales charts. Citroen certainly hasn't skimped when it comes to offering customers engine choices. It's common practice in this sector to offer one or two power outputs of the same basic turbodiesel engine. The Relay goes to battle armed with a range of three BlueHDi powerplants. Buyers get to choose from 110, 130 and 160PS units - and all are available mated to six-speed, all-synchromesh manual gearboxes. All engines are of 2.0-litre capacity and have been optimised for class-leading fuel economy. Citroen has also listened to feedback from existing Relay users who expressed a concern that road noise in the cabin was higher than the class benchmark and the latest Relay features redesigned shock absorber mountings to reduce the amount of suspension bump and thump entering the cabin. The brakes have been beefed up as well, with dimensional and tolerance changes to make them more effective. They're quieter in operation as well. If you haven't tried a Relay for some time, you may not be up to speed with the way that the current generation design has been much improved in recent years. The front end features large high-mounted headlights incorporating daytime running lights. It also incorporates a multi-piece front bumper to minimise accident damage and reduce repair costs. Climb inside and you'll be greeted by surprisingly high quality cab trim and a logical dashboard layout. The Relay features a dual passenger seat incorporating a drop-down desk unit. 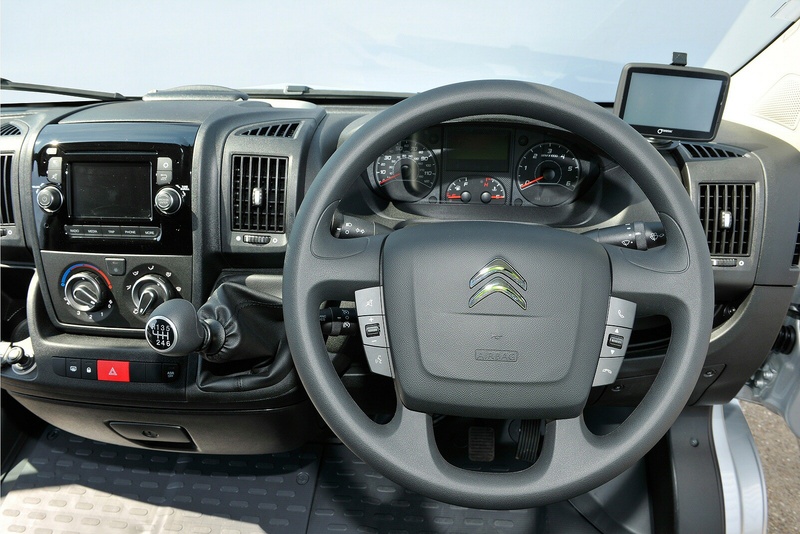 Up to ten in-cab storage areas are available, including the glovebox, a dash-mounted document clip and various open or lidded compartments on the dashboard. In addition, there are large door pockets, storage space beneath the passenger seat and a sizeable 22-litre overhead storage compartment. There's been a clear effort not just to improve the perception of quality in the cab but also to beef up high use, high stress items such as the rear doors. These have been reinforced and higher strength door hinges are now used. Similarly, the sliding side load doors have benefited from reinforced rails, re-designed runners and improved door locks - all of which raise durability and security standards. 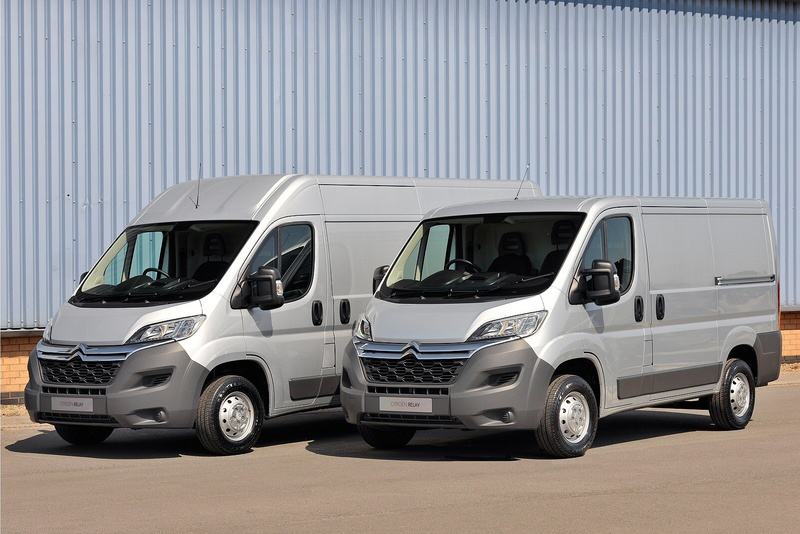 Prices open at around £21,000 excluding VAT for a 30 L1H1 BlueHDi 110 6-speed manual and top out at just shy of £30,000 for a 35 Heavy L4H3 BlueHDi 130 in Enterprise trim. The Enterprise gets the touch screen, air con, parking sensors, cruise control and a perimetric and volumetric alarm as standard. All Relay models get dark grey and black & red twill seat cloth, and have a smartly finished dashboard that can incorporate a 5-inch colour LCD screen for the media system and an optional reversing camera. That's on top of the electric windows and electrically operated and heated door mirrors that are standard, together with a DAB radio, steering wheel-mounted audio controls and a Bluetooth system. To ensure a comfortable driving position, the steering wheel adjusts for both rake and reach. There's also the Trafficmaster telematics platform fitted as standard that includes Smartnav intelligent sat nav and Trackstar stolen vehicle tracking. 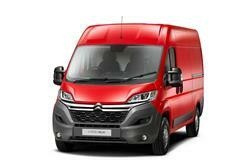 If you�re looking for a new Citroen Relay 30 L1 Diesel 2.0 BlueHDi H1 Van Enterprise for sale, you�ve come to the right place. At Bristol Street Motors we don�t just have the best Citroen Relay 30 L1 Diesel 2.0 BlueHDi H1 Van Enterprise deals, we also offer friendly advice and help with all your enquiries to ensure your buying experience is a happy experience.